It’s time to loosen up, already! 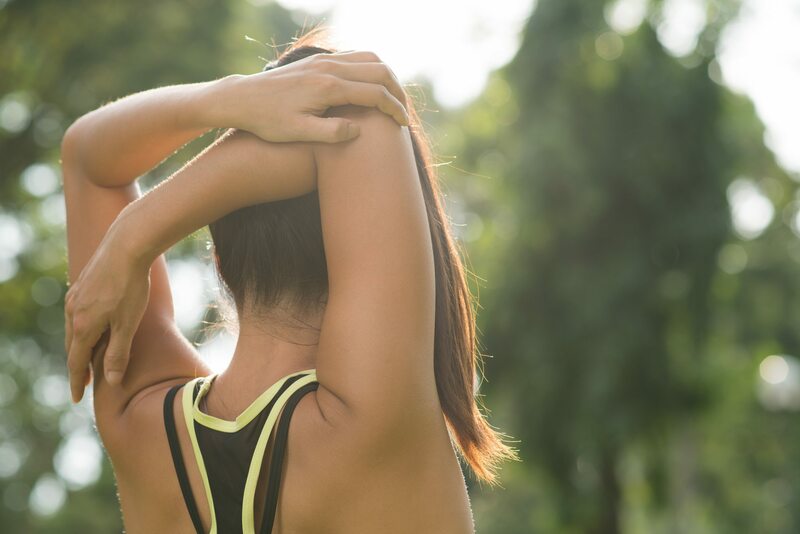 Check out these 7 stretches to improve your flexibility! 1. Hip Flexor/Quad Stretch. Kneel on floor with both knees bent, shins on the floor. Lunge your right leg forward, so your right knee is bent 90 degrees in front of you and your right foot is flat on floor directly under knee, and left leg is still bent underneath you, parallel to right. Place both hands on top of right knee and press back hip forward, leaning into the stretch, while keeping your torso upright. Hold for 30 seconds; release. Do three reps; switch legs and repeat. 2. Fold Over Stretch. Stand with your feet hip-width apart and your knees slightly bent with your arms by your side. Exhale as you bend forward from your hips, lowering your head toward the floor. Keep your head, neck, and shoulders relaxed. Wrap your arms around the back of your legs and hold the pose from 45 seconds to 2 minutes. Bend your knees and roll up slowly to release. 3. Butterfly Stretch. Sit on the floor with the soles of your feet together and your knees bent out to the sides. Grab your feet with your hands, engage your abs, and slowly bend your body towards your feet, going as far as comfortable. Hold for 45 seconds to two minutes, and slowly release. 4. Reclining Pigeon. Like with your back on the ground, knees bent, and feet flat on the floor. Cross your right foot over your left thigh and hook your arms around your left hamstring. Pull your right leg in toward you until you feel a good stretch. Hold for 45 seconds and then repeat on the other side. 5. Upward Dog. Like facedown on the floor with your hands in front of your shoulders, fingers facing forward. Keeping your core engaged, and pelvis grounded, push your upper body away from the floor. Draw your shoulder blades together, opening your chest. Hold for 30 to 45 seconds and then release. Repeat 5x. 6. Standing Tricep Stretch. Standing with your feet hip-width apart, extend your arms overhead. Bend your right elbow so your right palm rests on your back. Reach with your left hand over to grasp the right arm just below the elbow. Gently pull the elbow back and toward your head, holding for about 45 seconds. Switch arms and repeat. 7. Seated Trunk Twist. Sit on the floor with your core engaged and legs extended in front of you. Rotate your ribcage to the right, keeping your nose in line with your breastbone. Lift your ribcage off your hips to rotate further to the right, growing taller, and twisting as far as comfortably possible. Return to the center and repeat on the other side. Do 10 reps per side.